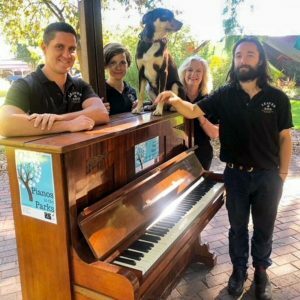 Joe and the Leaver & Son team were delighted to link with the Norwood, Payneham & St Peters Council during April to bring to life our community initiative, ‘Pianos in the Park’. 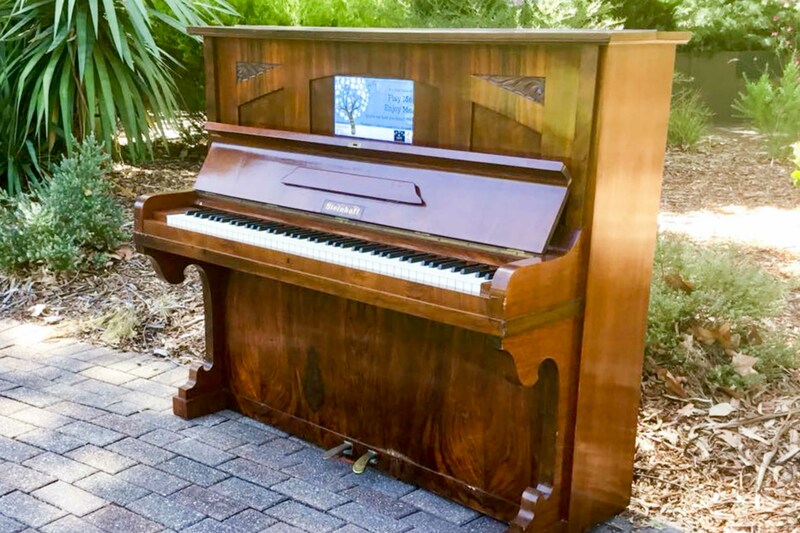 With a business that’s all about pianos and fixing pianos, it’s probably not surprising to hear that we are regularly contacted to remove old and unwanted pianos from peoples’ homes. Whilst many of these pianos are still able to be played, for one reason or another, some are not suitable for restoration and end up being demolished for parts and consigned to the rubbish tip. Being passionate about pianos and an active community supporter/contributor, Joe thought there must be a better way to extend the life of these old pianos before putting them to rest. This sparked an idea to share the charm of these pianos with the community by placing them in public spaces for people to play. And so, in collaboration with the City of Norwood, Payneham & St Peters, ‘Pianos in the Park’ was born! Our first piano was placed at Richards Park, directly across the road from our Norwood store. Our second piano was placed at Linde Reserve, Stepney. The initiative turned out to be a great success and we are continuing to work with the Council to place more of these once loved pianos in community spaces across the Council area in the future. What a wonderful way to extend the life of these otherwise worthless pianos a little longer by providing some unexpected fun and joy to members of the community! If you happen to notice one of our pianos in a park, have a play, take a photo, post it to our Facebook page and tag us in!